When you’re an entrepreneur, you only have to answer to yourself. However, when you’re building a sales team, it’s important to develop accountability among your employees. After all, your salespeople are brand ambassadors — when you send them to a sales meeting, they represent your company and have the potential to make or break a sale. Here are a few strategies for creating a team dynamic where every member feels entitled and empowered to represent your brand. Even prior to training, it all starts with hiring the right people. When you’re looking to build your sales team, it’s not just about filling a position — it’s about finding an employee who is committed to your brand and ready to make a difference. Consider building in a personality test portion into the recruitment process. Although it can’t guarantee a person’s work ethic, it can show strengths, weaknesses, and possible red flags for a candidate that will help to determine whether they’d be a good fit for your company. If you don’t have a training manual already, it’s time to dedicate some time to create one. A manual not only helps with the onboarding process, but it’s also a great resource for employees any time they need a refresher. The ease of a manual that has all of the procedures in one place helps to empower your team members and it also saves you the time of answering everybody’s questions. Practice makes perfect, and that also goes with sales. Role-playing certain situations with your team can better prepare them to address it in the real world, but it also gives you an inside look at where your employees are strong and where they need improvement. Give them guidance as needed, but take a step back to let them work through their own process. The more independent and empowered they feel, the more composed they will be in a sticky situation. Be attentive to your team’s body language when they are in sales meetings and notice if they are giving off any bad cues. Look out for nail biting, crossed arms, tapping, or fidgeting — all of these can subconsciously send the wrong message to a prospect. Instead, encourage them to smile, nod their heads, and maintain eye contact. While these are all things you may automatically do, recognize that your salespeople may not have built those habits yet and guide them accordingly. A little bit of competition never hurt anyone — if anything, it can be a prime motivator in a sales position. Take the time to recognize the highest performer each week or award the best salesperson of the month with a small gift card. Keep it small to avoid unhealthy competition, but honoring your team members for their achievements will ensure that they remain motivated towards success. Taking the time to focus on team-building is an investment in the future. 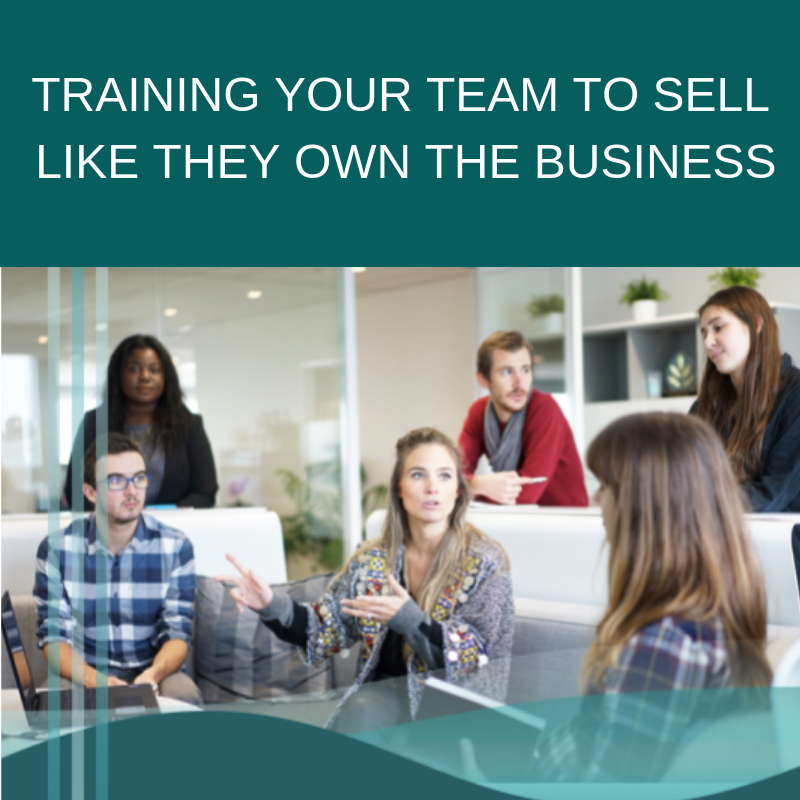 It’s important to have employees that you trust to carry your business, as it allows you to take a step back and dedicate more time into your business core. With the right sales team, you’re sure to see your company grow to its full potential.